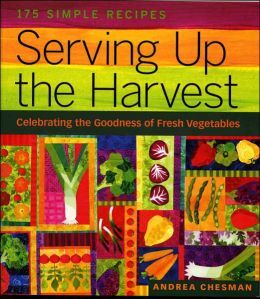 Whether you’re a cook that gardens, a gardener that cooks, or a person that just loves fresh fruits and vegetables, you will be left motivated and hungry after thumbing through this cookbook! Andrea Chesman, a chef that loves to garden, brings her readers 175 simple and delicious recipes that are organized according to their harvesting season. She also makes recommendations for maintaining a well-stocked pantry, so whenever inspiration strikes, there’s no need to run out to the grocery store. And have you ever been interested in preserving all those delicious vegetables so you can enjoy them all winter? Well look no further, there’s also detailed directions for canning, drying, and freezing! Happy eating! Previous post: Planning for Inquiry: It's Not an Oxymoron!